PDF version of the food shopping guide to help parents help their scout and understand what is required. PDF version of the uniform check list below. Click on the document to view, print, or download. 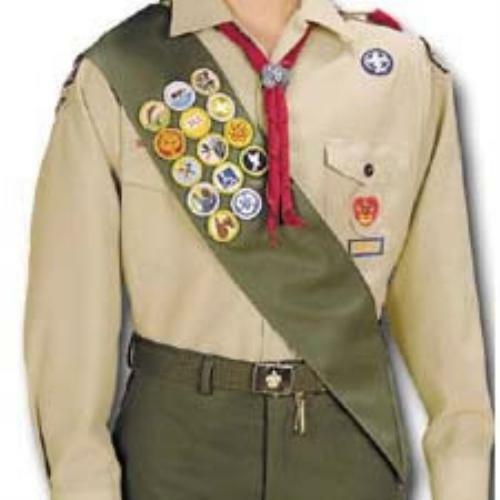 Please see the Scoutmaster with any questions. Note that there are 2 different styles of left pocket out there. The placement of the patch for the Position of Responsibility varies! PDF version of the patrol box (patrol kitchen) inventory list. Click on the document to view, print, or download. "The open-air is the real objective of Scouting and the key to its success". 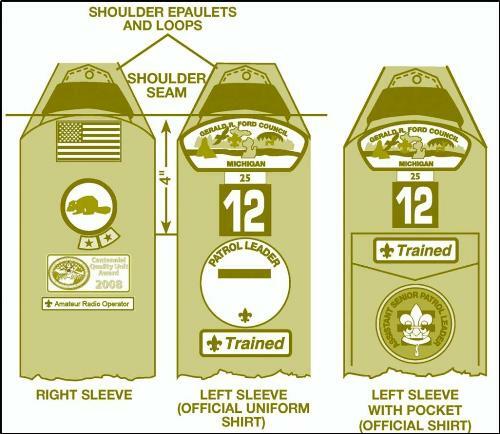 Part C is the physical exam that is required for participants in any event that exceeds 72 consecutive hours, for all high-adventure base participants, when the activity is more than 30 minutes away from an emergency vehicle-accessible roadway, or when the nature of the activity is strenuous and demanding. Service projects or work weekends may fit this description. Part C is to be completed and signed by a certified and licensed heath-care provider—physician (MD or DO), nurse practitioner, or physician assistant. Photo Release: Troop 238 believes in an effective public relations program that includes coverage of various scouting-related activities in local newspapers, on its website, and in other promotional materials. However, respecting the right to privacy, it is requested that parents/guardians consent to their scout’s photograph/digital/videotaped image appearing in such publications. The below form can be downloaded and filled out either allowing or not allowing the use of those photos and videos. Click on PDF document below!